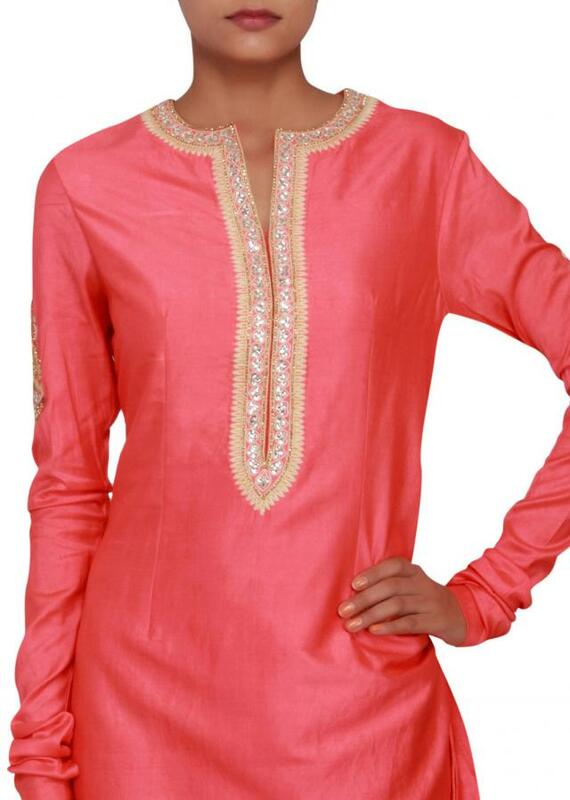 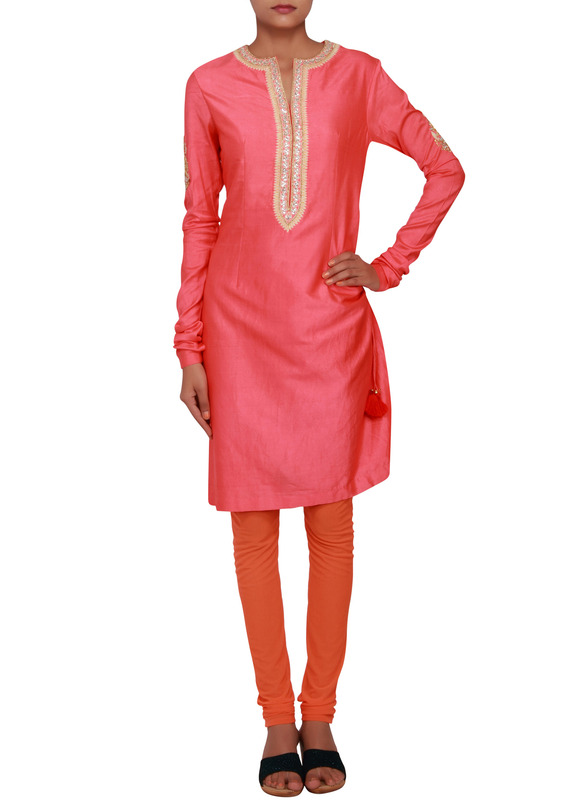 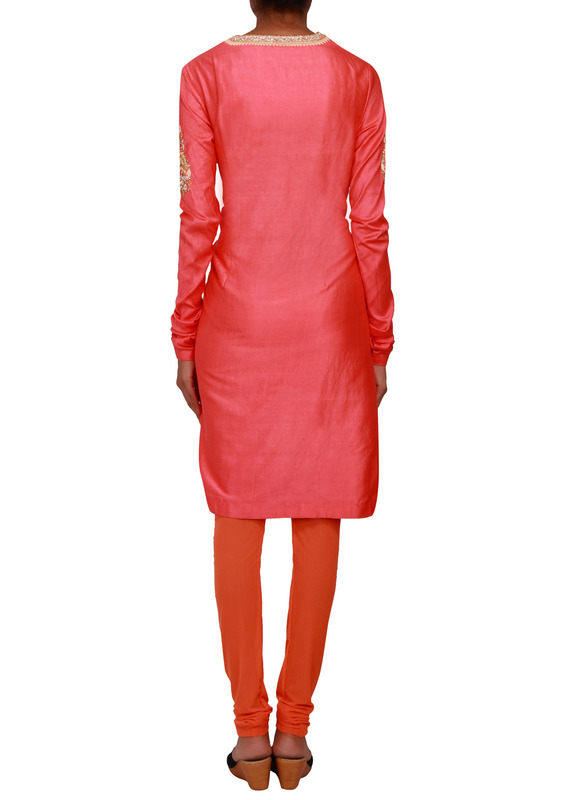 Featuring a peach silk straight fit suit embellished in kundan and thread work at neckline and sleeves. It has a tassel tie up at both the sides. 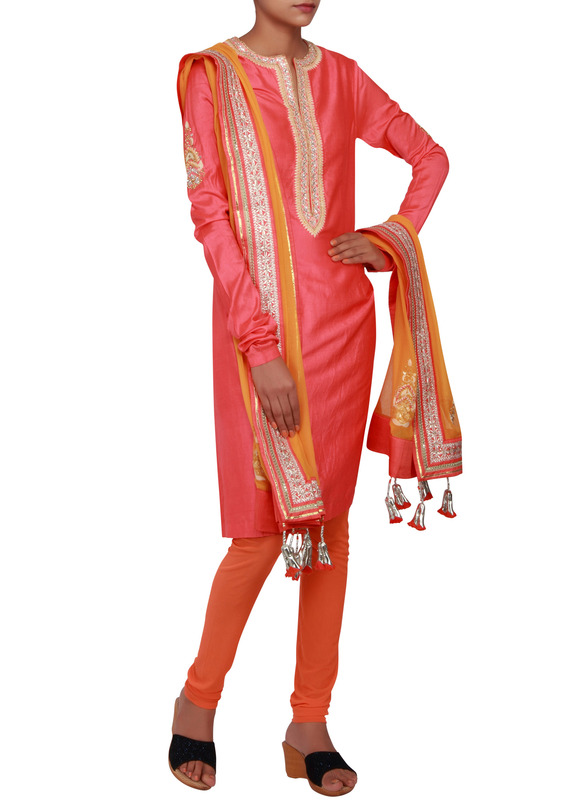 The churidaar is in coral lycra and dupatta is in yellow with peach border all over with tassels.